My hair is what I spend more time on at the moment, to me the style has to be perfect before I step outside (it's too long at the moment so I can't wait to get it restyled again). It can take anywhere between 10 to 30 minutes for me to get the perfect style depending on how long my hair is or how it is already looking. Sometimes after been washed it only needs a quick blow dry but other times it needs the full works. So here is what I currently use to create my perfect style. I got this Wahl hairdryer from Mankind earlier this year, I am so glad I did. I used to just let my hair dry naturally but I have found so much volume can be added by the hairdryer as well as it speeding the process up so much. 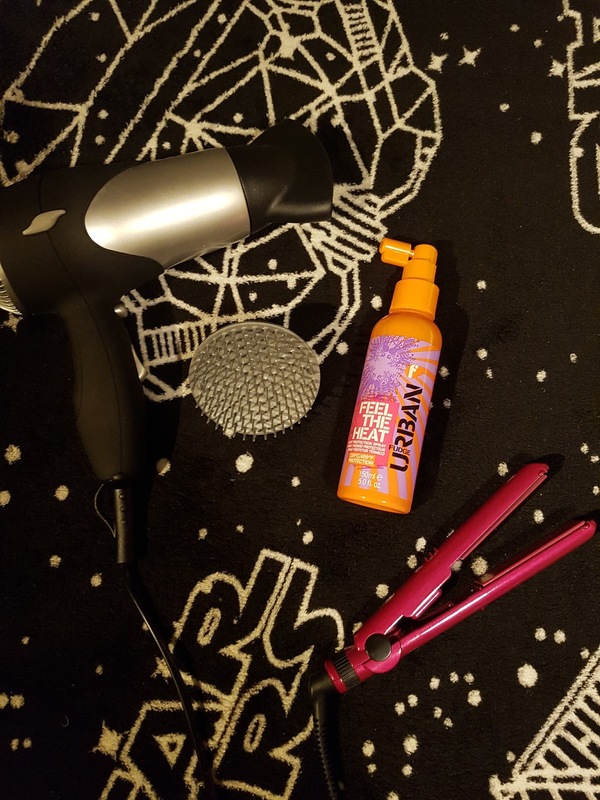 I also use the hairdryer to quickly set any products which I may have used. To get the perfect style I use this little be-bop massage brush. 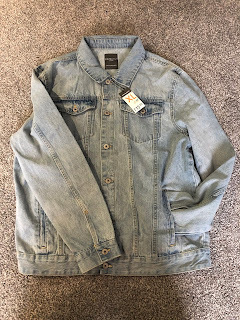 It is super easy to hold and helps get the perfect style. I was introduced to these by an old barber I went to and I love it even more than my tangle teezer. My straighteners have also become an essential. As soon my hair gets to a certain length my curls come back or even if I dry it a certain way the curls appear. I switch between these little Babyliss ones and my bigger GHD's. I used to hate straightening but now I really don't seem to mind it. Now that I am using more heat on my hair I am beginning to protect it. Whilst my hair is still wet I will apply some of the Fudge heat spray to act as a defence barrier. Because I really don't fancy destroying my hair completely. 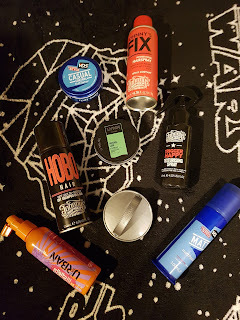 Next up is my favourite part, the actually styling products. I have an overflowing basket in my beside cupboard that is just hair products. I really can't get enough of them Some of my favourites are either by VO5 or Johnny's Chop Shop. I use the Johnny's chop shop texturising spray so my hair has even a little texture to it as I don't want it looking too straight and perfect especially as without it my hair can look so flat. I will also use a clay / paste to help me get my finished look. They can just help it look a little messed up or give it that perfect hold. 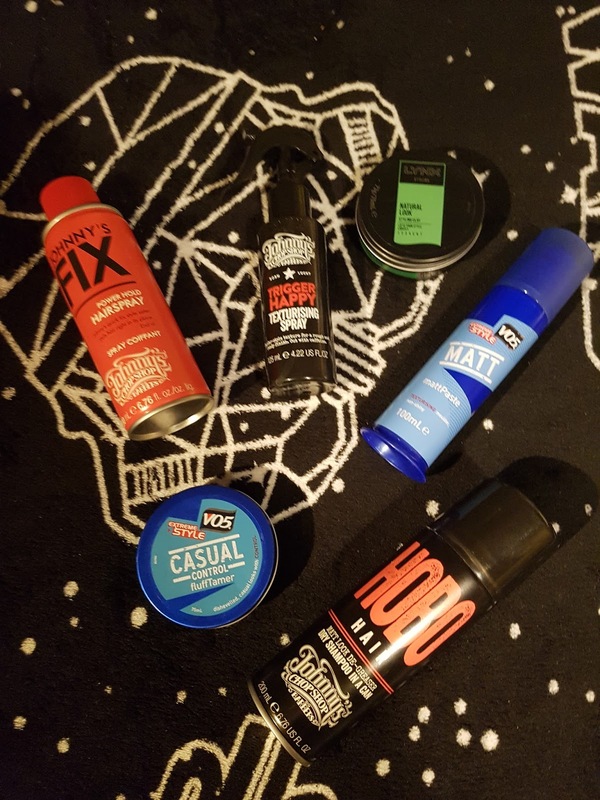 I have found depending what I am doing on the day will depend on the type of product I use. Work is a more natural clean look where as weekend's / nights out are more off a messy / casual style. If I am having a lazy day I will simply just use a dry shampoo to keep my hair looking fresh and give it a little volume. My go to at the moment is definitely the Johnny's Chop Shop Hobo Hair as a little really does go a long way. Once my hair is dry before putting on any products I will use a little fluff tamer just to fix any stray hairs into place. It really has become a lifesaver. The final product I go for is hairspray, I go through so much each month but it is definitely worth it. My go to at the moment is also Johnny's chop shop as I have found that this gives such a good hold. It is just perfect for making sure my style is held throughout the day no matter the weather. What are your styling essentials? Or do you have any recommendations? Let me know in the comments below.